I love this tea set. I’m pretty sure I’ve never uttered those words before, but what can I say, I do. 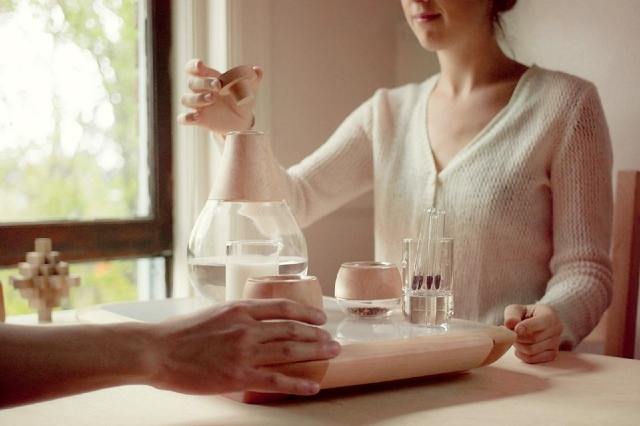 A concept project by Free Time Industries, the tray contains an induction plate, which means that it and everything on it stays cool to the touch, but the water will boil. They say that it makes the act of making tea more social, but I just think it’s really cool.